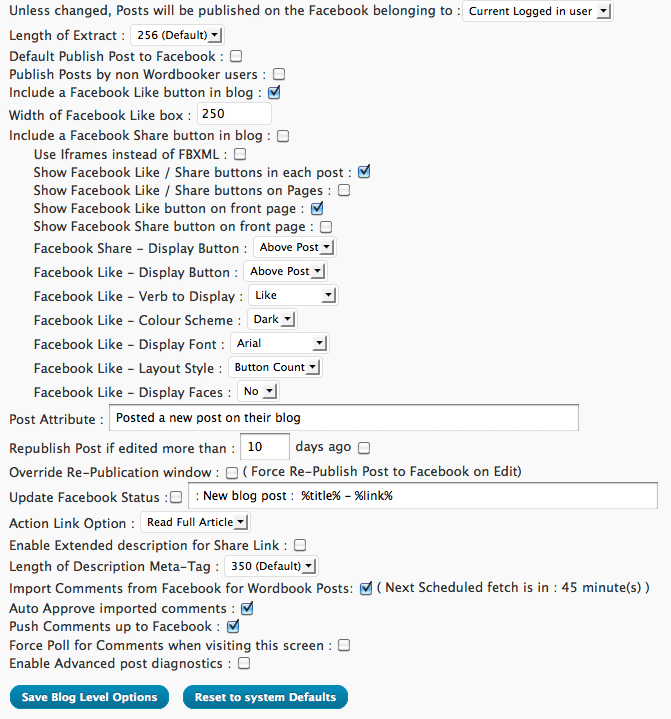 I have been looking for a great WordPress plugin that will sync my blog post from willthethrill.net to Facebook automatically. Even though there are plenty out there that can do that Wordbooker is the best I have seen so far. It does what is says it does, updates your Facebook with your posts, but it also does something that I have been wanting for a while, the ability to pull Facebook comments to your blog. I have a blog which no one really ever comments on a Facebook profile which gets a little attention, so wouldn’t it be great if I could get those comments to go back and forth between the two. Wordbooker does that for you and I was so excited to see it. The plugin has a bunch of other features of course, but that is the one I was really excited to see. I really just want to see if the commenting syncing thing works. This comment was left on my WordPress blog. It only checks for new comments like every hour so we shall see if the comment syncing works.